The Commonwealth Games organizing committee has began issuing RFID tags to vehicles enabling entry inside the event’s competition venues, reports The Times of India. Sources said that the tags would make the identifying of a vehicle easier for the police, which in turn streamlines the process of entry inside the stadiums, thus saving on time and energy. The committee has a cap of 300 tags, which will be distributed to vehicles belonging to senior officials and delegates. Other vehicles required inside the venues, such as those used to carry equipment and venue-related materials will also be given tags. 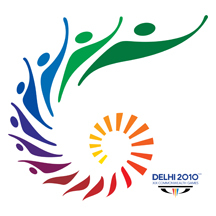 The 2010 Commonwealth Games is being held in New Delhi, India from October 3 to 14. A total of 7,000 athletes from 72 Commonwealth Games Associations are participating in 17 sports.